Valentine's Day is a day for entrepreneurs, too. 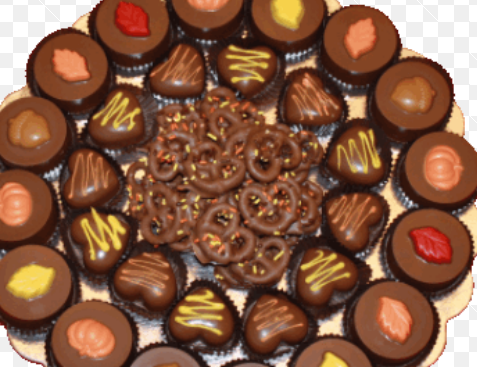 Earn additinal income by making and selling custom-made chocolates. In a few days, Filipinos will once again be trooping to malls and flower shops looking for that perfect gift to give their loved ones on Valentine’s Day, as the occasion has long transcended from being exclusively for lovers alone. To help you make the most out of this highly entrepreneurial occasion, Entrepreneur.com.ph is giving you another suggestion on what sideline business you can do for this special day. There’s nothing as sweet as chocolates to give this Valentine’s Day, which makes this dessert one great product to sell this time of the year. • Toothpick, lollipop stick, or plastic straw. If you have the budget, you may also buy a double boiler and an artist brush for making designs on the chocolate mixture. • Peanuts for filling. Other fillings may be raisins, marshmallow, walnut, pecans, almonds, or cashew nuts. 1. Make sure all your utensils are clean and dry. Put on your plastic gloves and cut the chocolate block into small pieces so they melt faster. Place the chocolate blocks in a pan small enough to fit inside the boiler. If you don’t have a boiler, just use a bigger pan that can accommodate the pan for melting chocolate. 2. Place the boiler containing water over the stove and let the water simmer. 3. When the water simmers, put the pan containing the chocolate blocks inside the boiler, taking care that the water level doesn’t reach the pan’s rim. 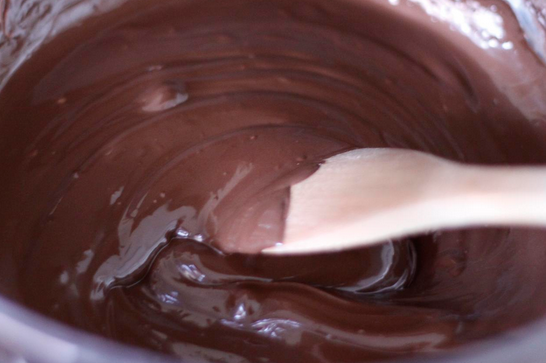 Stir constantly using the wooden spoon until the chocolate melts completely and becomes smooth and thick. 4. Pour the melted chocolate onto the mold or heatproof plastic containers. Use the stainless spoon to scrape off the sides of the pan. If you want fillings like nuts, marshmallows, rice crispies, dried fruits, or raisins, pour a tablespoon of chocolate first, then the filling of your choice, and coat with another spoonful of melted chocolate. Tap the mold or use regular straw to fix the filings and remove air bubbles from the chocolate mold. Make sure the mold is fully covered. 5. Cool for a few minutes and then put the chocolate mold inside the freezer for three minutes. When the three minutes are up, remove the mold from the freezer. Turn a mold upside down on a flat surface and tap gently to remove the candies. (Another way to find out if the candies are ready is to see if the sides of the mold have turned white or cloudy.) If the chocolate doesn’t come off easily, return the mold to the freezer to allow it to harden more. 6. Place the candies in fluted paper cups and arrange them in a box. Decorate box with ribbon and card. The chocolates can last up to two weeks. Ingredients and equipment can be bought at chocolate and baking goods supply stores like Gourdo's and Chocolate Lover.